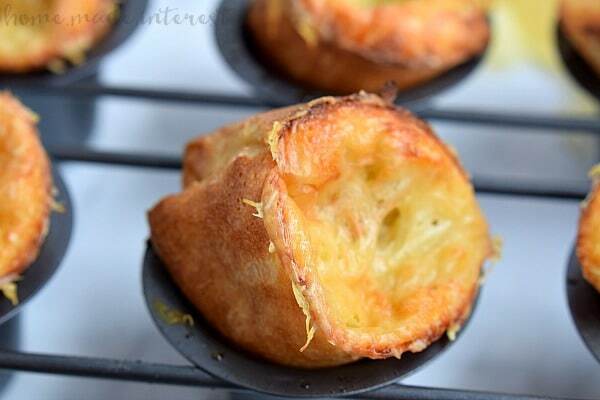 Gruyere Popovers - Home. Made. Interest. 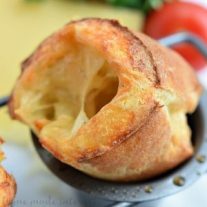 These easy Gruyere Popovers are a fluffy, cheesy bread that would be perfect to make for Thanksgiving dinner or Christmas dinner! Note: This post contains affiliate links. That means if you click on a link and make a purchase we may receive a commission. Thank you! You might remember that this time last year Melinda and I were just getting back from a nice long vacation in Aruba. While we ere there we visited all of our favorite restaurants and even got a recipe from our favorite chef at Que Pasa! We also tried out some new restaurants including The Ritz Carlton’s BLT Steak . The dinner was amazing and everything was so good but the thing that we all raved about was the delicious little popovers that they served to us before our meals came. The basket of popovers came with the recipe and it’s taken us this long to get around to sharing it. Don’t be mad! This is actually the perfect time because these fluffy, cheesy popovers are perfect for the holidays. 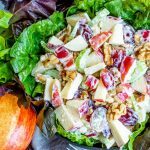 You can make them to go with your Thanksgiving dinner, or Christmas dinner…maybe even as an appetizer for New Year’s Eve. 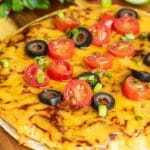 Whatever occasion you decide to make them for, even if it is just dinner with your family on Sunday night, you’re going to love them. 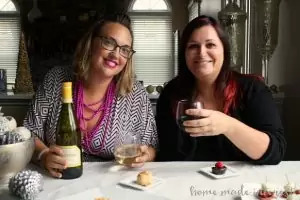 Some people are really intimidated by the idea of making popovers but they are really easy! The only special thing you need for them is a popover pan. It’s inexpensive and totally worth buying because you’re going to want to make these all the time after you have that first Gruyere popover. The popovers themselves are simple. The key is getting the eggs nice and frothy so you have more air in your popover batter. The popover pan heats up in the oven while you mix together the milk, salt, flour, and eggs, just like a Dutch Baby, then you pull the hot pan out of the oven, pour in your batter, top with some Gruyere cheese and bake until they puff up and are a beautiful golden brown. I suggest eating them as soon as they come out of the oven because that is when they are the best. 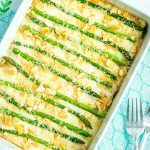 Make them the last thing you make before the family is ready to sit down to eat then pull them out of the oven, dump them out into a bread basket and get ready to dig in. 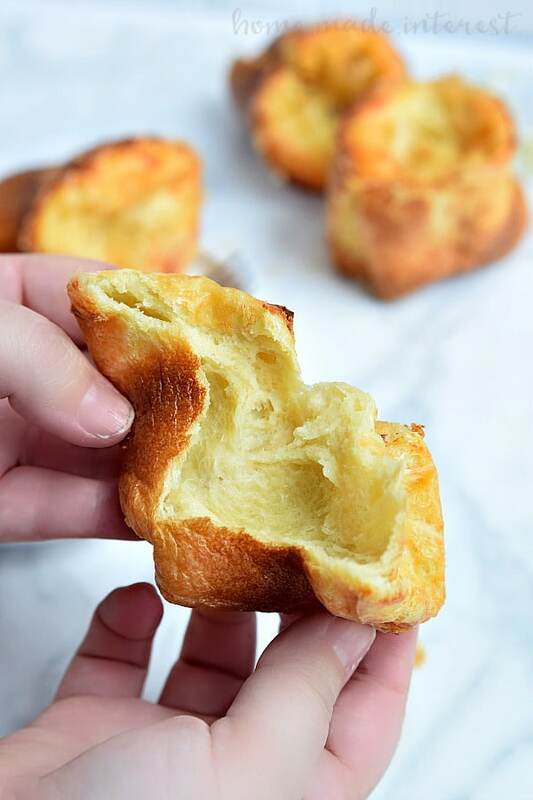 These easy Gruyere Popovers are a fluffy, cheesy popover recipe that would be the perfect easy bread recipe to make for Thankgiving dinner or Christmas dinner! Preheat oven to 400°F with a 6-cup popover pan in the bottom third of an oven. In a saucepan over medium high heat warm the milk until you begin to see small bubbles around the edges. Combine the flour and salt and run it through a sieve to make it extra fine. Set aside. In a large bowl whisk the eggs until they are frothy. Remove the milk from the heat and slowly pour it into the egg mixture, whisking continuously. Be careful that you don't go to fast and cook the eggs! Once the milk and eggs are combined add the flour mixture, whisking it until there are no lumps and the mixture is smooth. Remove the popover pan from the oven, spray with nonstick spray and fill each cup 3/4 full of batter. 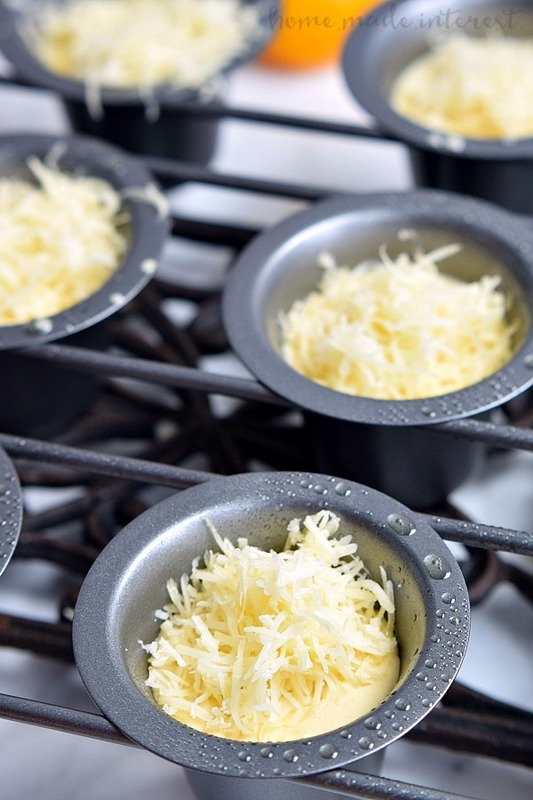 Top the batter in each cup with 1/2 ounce of Gruyere cheese. Place the pan back in the oven with a baking sheet beneath it on the rack below to catch any drips, and bake for 15 minutes before rotating the pan 180 degrees. After you have rotated the pan do not open the oven again until the baking is complete 30 minutes more. Once the popovers are done remove them from the oven, empty them into a bread basket and serve immediately. Wipe out the popover cups, place the popover pan back in the oven to heat for 5-10 minutes then follow steps 7-11. 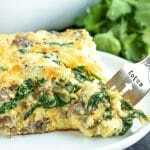 « Previous PostFall Recipes Made Easy! 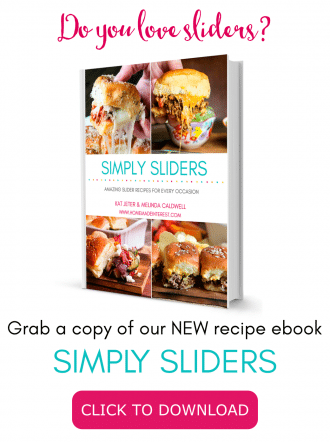 These look just delightful and so easy to make! Thanks for sharing! SO SO good! Ad very easy to make. ???? What kind of milk works best? We used whole milk and think that probably works best. Disaster! Little cheesy rocks. Discarded those, then took the remaining batter and cheese. This time did the rotation at 15,then 15 more. Interesting. We cooked them according to the instructions we provided. It’s actually a recipe from BLT Steak and we didn’t alter it. I’m glad you gave it another try and got them to work. They are delicious aren’t they? Charlie Smallman.. we had the same result! I used the recipe right from the BLT Steak website. We were in Las Vegas @ BLT Steak and really enjoyed them, so I made them at home. They were good but yes cheesy little rocks as you put it lol. Thanks for the additional tip!